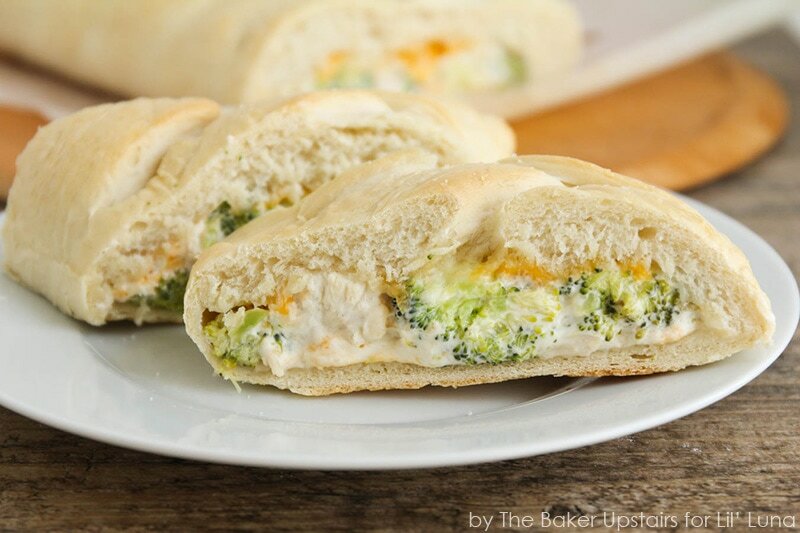 Cream cheese, shredded cheese, broccoli, and chicken all wrapped up in a homemade bread crust. Talk about comfort food! 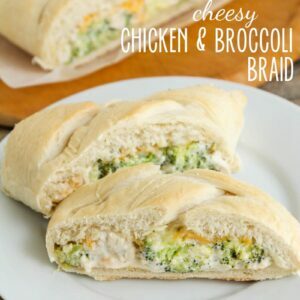 Everyone loves this chicken broccoli braid! Hello again! 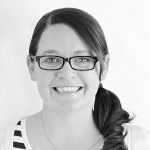 It’s Alicia from The Baker Upstairs, and I have another delicious recipe to share with you! With the cold weather outside, I find myself craving something warm and cheesy for dinner, and this Cheesy Chicken Broccoli Braid is perfect for satisfying those comfort food cravings! 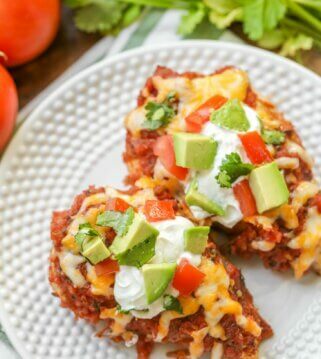 It’s super easy to make, savory and flavorful. It starts with a quick yeast dough that takes only a few minutes to make and has a short rise time. If you haven’t worked with yeast doughs before, have no fear! This recipe is super simple and perfect for beginners. 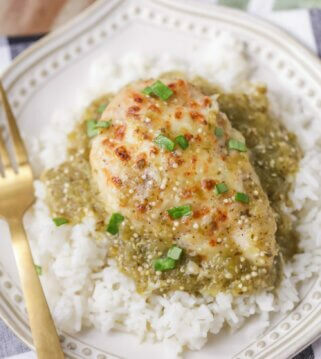 The chicken and broccoli filling is so creamy and cheesy! 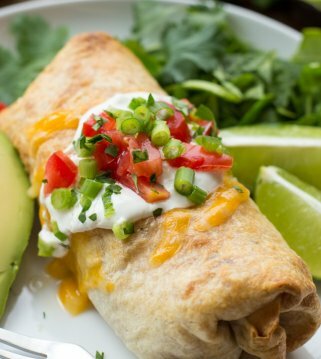 With cream cheese and shredded cheese you really can’t go wrong. 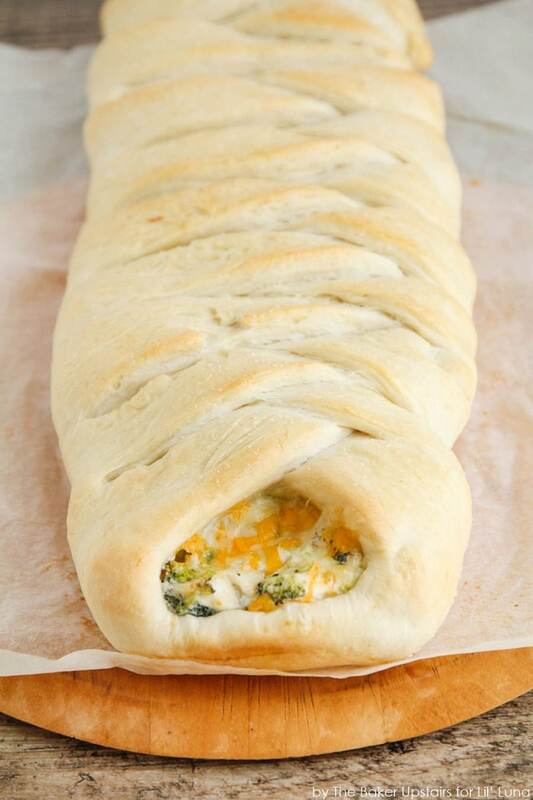 The bread dough is wrapped around the cheesy chicken and broccoli filling to look like an intricate braid, but it’s actually REALLY easy! It makes an impressive presentation that’s perfect for company, but is easy enough to make for a weeknight dinner. 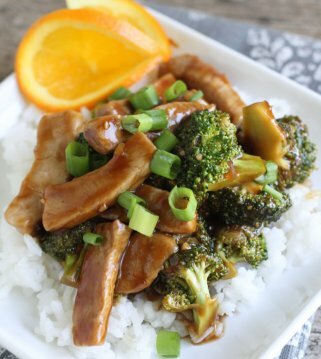 Super simple, and delicious too! It’s a favorite at our house, and one that the kids love! Start by making the bread dough. 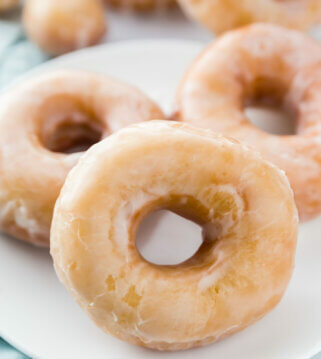 In a medium bowl or the bowl of a stand mixer, dissolve the yeast in warm water with the sugar. Allow it to sit for 5 minutes, or until bubbly. Mix in two cups of flour, the salt, and the olive oil to form a smooth dough. Add additional flour as needed to reach a dough consistency that is slightly tacky to the touch, but not overly sticky. Let the dough rise in a greased bowl for 30 minutes. While the dough it raising, mix together the cream cheese, cubed chicken, broccoli, garlic powder, salt, pepper, and 1/2 cup cheese. 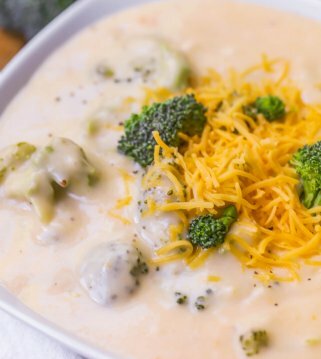 When the dough has risen, roll it out into a rectangle, put the creamy chicken and broccoli mixture in the center of the rectangle, and sprinkle with more cheese. Cut the bread dough on either side of the mixture into strips, and braid. Although it looks a little complicated, the braiding process is really simple and straightforward. You just take strips from alternating sides and fold them over each other. Easy peasy! Once it’s all braided, brush with the egg wash, sprinkle with sea salt, and bake for 25-30 minutes. 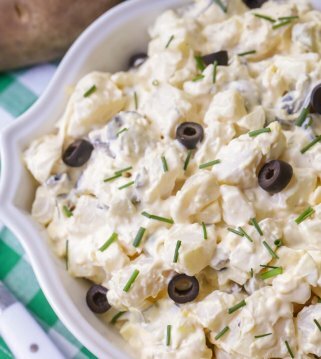 The creamy chicken mixture is my favorite part… And my whole family agrees! You know this recipe is a winner if the kids enjoy it! In medium bowl or stand mixer, dissolve yeast in warm water with sugar. Allow to sit 5 minutes, or until bubbly. Mix in flour, salt, and olive oil to form smooth dough. Add flour as needed until dough consistency is slightly tacky to the touch but not overly sticky. Let rise in greased bowl for 30 minutes. Meanwhile, preheat oven to 350. 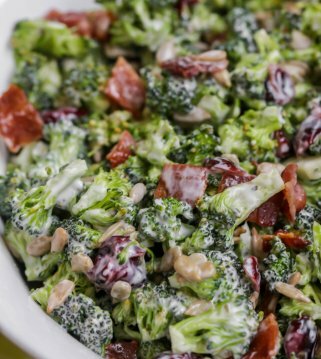 Mix cream cheese, chicken, broccoli, garlic powder, salt, pepper, and ½ cup cheese. When dough has risen, gently punch down, then roll out on a piece of parchment paper/silpat forming a rough rectangle approximately 15 by 20 inches (no need to be perfect!). Spread chicken and broccoli mixture down middle of dough, then sprinkle with the remaining cheese. Using pizza cutter or sharp knife, cut one inch strips at a diagonal from outside of the rectangle to filling in the center. 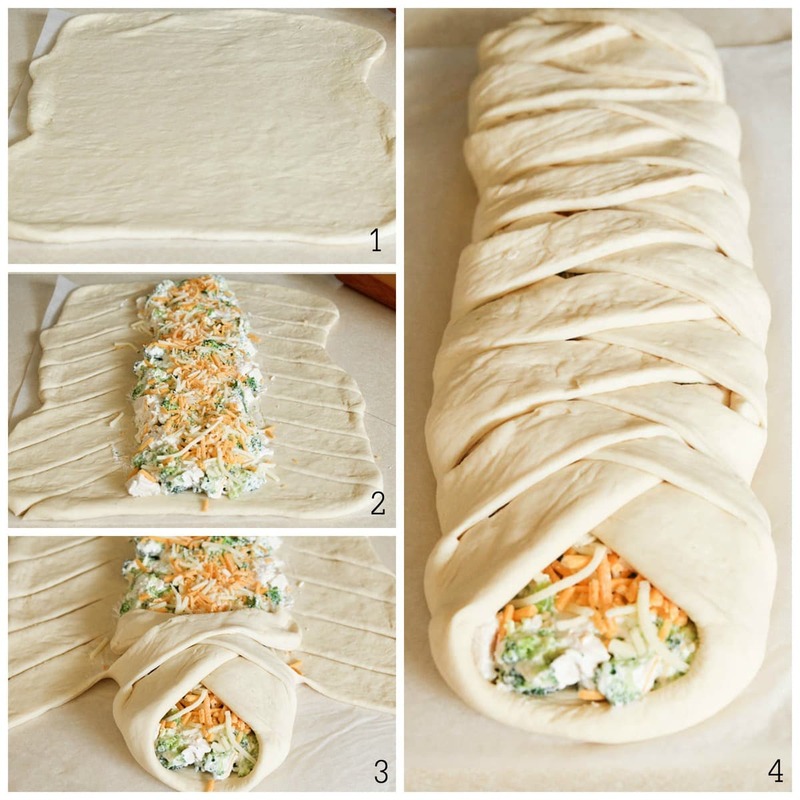 Fold the strips of dough over filling, alternating sides to make braid pattern. When you get to end of braid, tuck in ends. 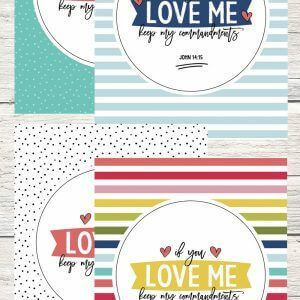 Move parchment or silpat to baking sheet. Beat egg lightly with water and brush egg mixture over braid. Sprinkle lightly with sea salt. Bake 25-30 minutes, or until light golden brown. For more great recipes from Alicia go to The Baker Upstairs. I could eat this for breakfast. Or lunch. Or dinner. All day! 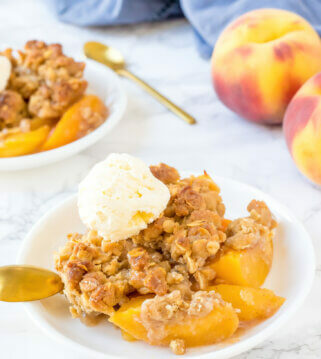 This is a recipe my sister would love more than anything! She has decided to go meat-free and dairy-free for the new year (but not vegan, haha.) But I’ll just make it for my father and have him torture her by eating it in front of her 🙂 It looks so good! I love how you show step-by-step how to make the braid. It looks super-simple and delicious too! What a beautiful and quality recipe. 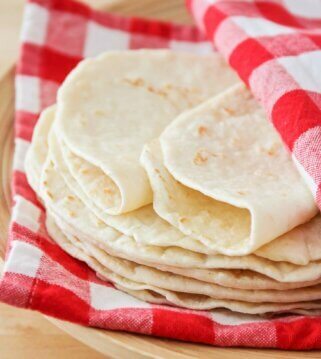 I love your roll ups, they make a great comfort food. So fun! Plus you make it look SO easy!